Folder Transfer is the best large file transfer software to transfer large files and folders over Internet / Intranet. 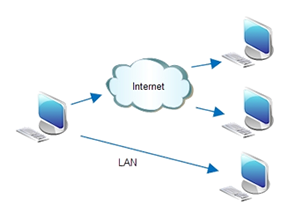 You can use this auto network file transfer program to remotely transfer files to multiple destinataions at a time. Free version is available. Who will use this big file transfer software ? Do you have the largest files to transfer ? Try Folder Transfer that is the best free large file transfer software to transfer files between computers over Internet.